Home » EUR » Pound to Euro Exchange Rate Forecast: Will BoE Speech Trigger GBP/EUR Gains? The Pound (GBP) has dipped against the Euro (EUR) today, but still remains near the best exchange rate since late May. This deterioration comes from signs of an internal Brexit upset – it is reported that Democratic Unionist Party (DUP) MPs might reject October’s budget. The DUP is attempting to avoid any possible separation from the rest of the UK after Brexit and has threatened to disrupt October’s budget if a separation seems likely. 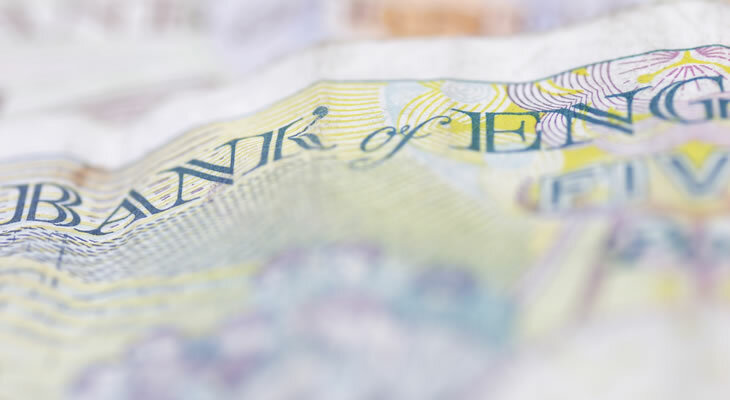 Looking ahead, the Pound Sterling Euro exchange rate (GBP/EUR) could rise in the near-future when Bank of England (BoE) policymaker Gertjan Vlieghe speaks. Mr Vlieghe will be discussing ‘Global and Domestic Challenges for UK Monetary Policy’, so could well touch on BoE interest rate plans. GBP traders are looking for signs of a 2019 interest rate hike, so if Mr Vlieghe backs increasing interest rates next year then the Pound could rally. Mr Vlieghe is only one of nine voting members on the Monetary Policy Committee (MPC), but he could still raise support for Sterling if he backs higher interest rates. Future GBP/EUR Forecast: Will Slower Pace of UK Wage Growth Drain Pound Sterling Demand? Looking beyond this event, the Pound to Euro (GBP/EUR) exchange rate could next be influenced by next Tuesday’s UK jobs market data. Current forecasts are for a slowdown in the pace of wage growth during August and no change to the unemployment rate, with a 4% reading on the cards. A deceleration in the pace of wage growth could have a negative impact on Pound Sterling demand during trading, potentially causing GBP/EUR exchange rate losses. Slowing wage growth risks an overtake by the rate of inflation, which can lead to a wage squeeze on UK households and reduced consumer spending. If wage growth figures show unexpected growth during August, however, the positive implications could cause a GBP/EUR exchange rate rise. As with UK news, there will be a high-impact Eurozone economic development in the near-term when European Central Bank (ECB) minutes come out this afternoon. The ECB documents might raise support for the Euro (EUR) if they reveal that policymakers support an interest rate hike in 2019. Similarly to GBP traders, those invested in the Euro are anticipating higher interest rates from the ECB in 2019, although exactly when is still unclear. In the best-case scenario for Euro traders, the ECB accounts will point to a rate rise coming early next year; this could cause a sharp EUR/GBP exchange rate rise. Are Late-Week EUR/GBP Gains ahead on Higher German Inflation? The week’s last major Eurozone data may provide additional support for any Euro to Pound (EUR/GBP) gains seen today, as it will cover German inflation rate figures. The pace of price growth in Germany is tipped to accelerate during September, with a sharp rise anticipated for the annual and monthly figures. Higher German inflation can cause a rise in overall Eurozone inflation, which increases the likelihood of an ECB interest rate hike due to increased pressure.